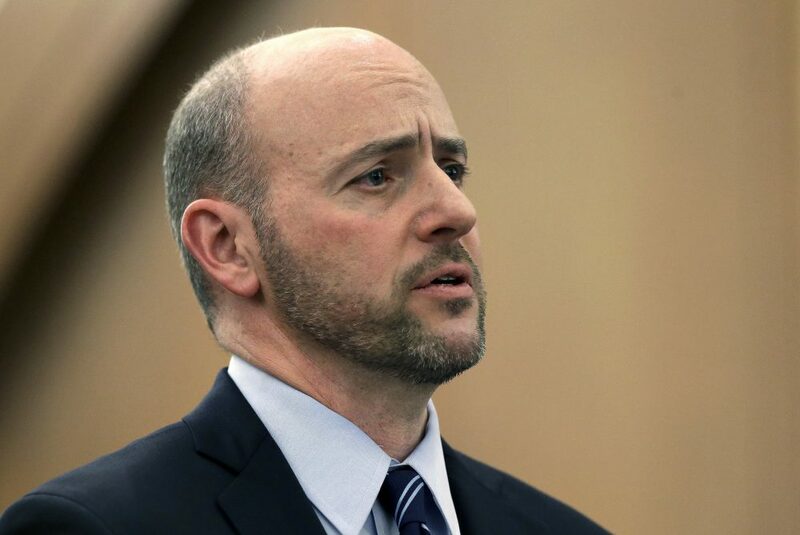 U.S. Attorney Andrew Lelling, the top federal law enforcement official in Massachusetts, is further dashing any chance of a supervised drug injection facility opening in the state. "In our view supervised injection sites are a terrible idea," Lelling said Friday, a day after the state Senate passed a substance use treatment bill, but not before stripping out a provision that would've launched an injection facility pilot program. 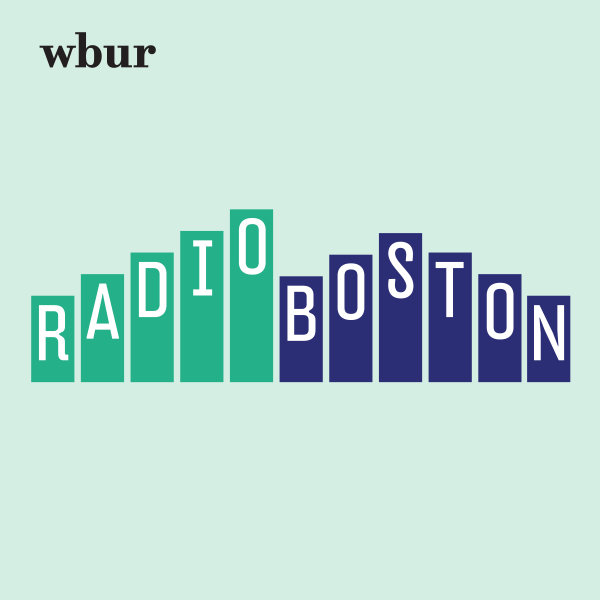 "Supervised injection sites take a big step toward normalization of a horrible addiction," he added to WBUR in an interview. "That's a step towards normalization of drug use, which runs contrary to the message that the federal government — under either Republican or Democratic administrations — and state governments and the American people have been sort of espousing for years, which is that intravenous drug use is something to be avoided at all costs." Lelling also talked about the discrepancy between federal laws against marijuana and state laws allowing it. "If you're running a marijuana distribution business in Massachusetts you are violating federal law. You just are," he said. "So you are doing it with at least the theoretical risk that there could be enforcement. What I have tried to say is what I can, which is I have limited resources and they're not focused on marijuana. Right now they're focused on opioids." Lelling: As I've said in the past, I can't immunize the entire state of Massachusetts for federal marijuana enforcement. I don't have that power. Only the legislature has that ability. And so I think this issue needs some movement in Congress so that law enforcement officers like me have some clarity ourselves as to what we should enforce. But until then I have a situation where on the books all of this activity violates federal law. But on the other hand, is it in the public interest for me to prosecute people buying and selling small amounts of marijuana? I would argue no. Deb Becker: Why wouldn't that thinking also apply to supervised injection sites, where drug users could inject drugs under medical supervision? The reason to go after a supervised injection site if they opened, one, is because overall it's a terrible idea at least to me and I think to the Justice Department as a whole because those sites run precisely contrary to what we've been trying to do, which is tamp down supply and tamp down demand. And I don't think supervised injection sites help do either of those things. I think they inhibit the goal. Supporters say these facilities would help lower the overdose death rate and get more people into addiction treatment, and that's why the Senate Ways and Means Committee approved the bill that would have established a pilot program. Now of course the full Senate has killed that proposal, but there are many who are still behind the idea. You can see in the Ways and Means Committee bill that people who go to supervised injection sites would be made aware of the availability of treatment for their addictions. But nothing requires them to take advantage of it. The bill itself specifically says that it would have to be wholly voluntary based on past experience. I'm sure addicts who go to supervised injection sites are not then going to waltz into treatment because they were handed a brochure informing them that treatment is in fact available. And so I do not believe that the existence of supervised injection sites would result in a materially higher number of addicts seeking treatment. Second, treatment is now available and widely publicized so these [facilities] are not needed and will not accomplish that. By opening such facilities you are taking a tremendous step toward the normalization of intravenous drug use, which as we have seen against the backdrop of 2,000 people dying last year in Massachusetts is a horribly risky form of activity. And so it would be difficult to convince me that opening up a facility specifically designed to let you take intravenous drugs safely does anything but encourage the use of intravenous drugs. But several medical professionals — including the Massachusetts Medical Society — argue that these facilities would help reduce overdose death rates and help prevent the spread of diseases such as hepatitis C and HIV. They say the research backs that up. There is no convincing evidence that I have seen that supervised injection sites lead to a larger number of addicts seeking treatment, to get away from the addiction, or that supervised injection sites reduce the number of overdose deaths in a given community. "...if a supervised injection site was opened in Massachusetts we would seriously consider prosecuting the people involved." San Francisco was set to open a supervised injection site this month but city officials now say they're working on several "legal barriers." One official expressed concern that opening a facility could result in a state health worker or other health professional being arrested. Is that a realistic fear? I think what I would say is that if a supervised injection site was opened in Massachusetts we would seriously consider prosecuting the people involved. This is not an unknown risk, meaning if the state were to open such a facility, much like with the marijuana experience, they're doing it knowing that this is patently illegal under federal law. Now I should say I do think this is a subject where a little more study would be a good thing. I don't think there's anything wrong, from the public health perspective, trying to better figure out what is the actual impact of these supervised injection sites. There are really two problems here. One is harm reduction, quote-unquote, is an ideology. It is not a well thought-out public health initiative. Proponents of the harm reduction model tend to be people who at the end of the day simply want drug legalization, simply [see] intravenous drug use as a life choice. That is not my view, it's not the government's view. I don't think it's the view of most of the public. Second, I'm a law enforcement officer. Again somewhat like the marijuana experience, there are federal laws on the books [that] make this illegal. I am not a policymaker. What we're talking about really is this intersection between public health and public safety, which often becomes contentious. Is this just an inevitable clash between these two sectors? Do you see some way of reaching a compromise? I think that clashes between public safety and public health will continue sort of on an ideological level because what I found over time, and it's no one's fault, is that people who are in public safety careers and people who are in public health careers tend to have a different worldview and who don't always mesh. But I think when it comes to substantive responses to the opioid crisis we're slowly inching closer together. I'll give you an example from from my side of it: We now spend much more time talking to and coordinating with treatment providers than we ever have in the past. I've been in this business about 17 years and 10 years ago it never would have occurred to federal drug prosecutors to coordinate with local treatment or public health personnel. Now we do it every day. Now the attorney general talks about it and talked about it. To me it's a feature of what we do and I think that is an improvement on our end. I think it's a recognition that you cannot beat the opioid epidemic purely through enforcement. This segment aired on July 20, 2018.